As parents, we’re always looking for the best products for our kids at the best deals. What that means to each of us may be a little different, but for the most part, we want products that are healthy, quality made, and as inexpensive as possible. 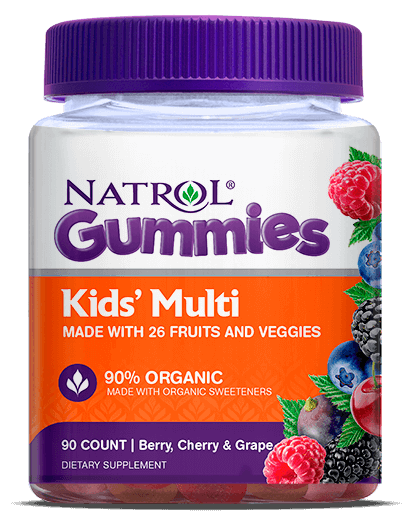 Beginning with body and brain health, we’ll look at Natrol Gummies vitamins. Then we’ll look at clothing and shoes. Finally, we’ll top it off with a furry companion! Now, if you’re sitting there thinking this sounds great, what about me? Don’t worry. Natrol has gummies specifically developed for adults too, which is a good thing for those of us who still have problems swallowing large pills. As you might suspect, there is a separate Women’s Multi Gummies and Men’s Multi Gummies, but there’s also a Prenatal Multi Gummie. Each of these comes in the same flavors as the Kids’ Multi Gummies: Berry, Cherry, and Grape. In addition to those, Natrol has also developed a Multi Gummie specifically for people who want to improve their hair, skin, and nails or need a little extra melatonin to improve their sleep. The Hair, Skin & Nails Gummies come in a Raspberry flavor. The Melatonin Gummies come in a Strawberry flavor and can be purchased in 5mg or 10mg strength. You can find out more about Natrol products and how to purchase them from their website at www.natrol.com. 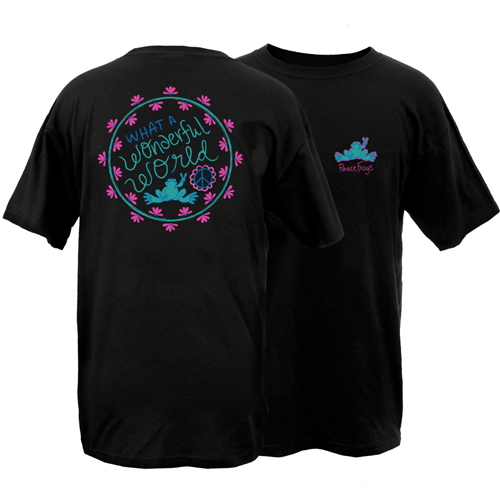 Peace Frogs makes eco-friendly clothing, t-shirts, hats, and other accessories. They offer clothing in sizes from toddler all the way through adult, and they have a wide selection of themes. From retro to psychedelic, from sports and hobbies to important causes, from environmental to inspirations, and even humorous designs, Peace Frogs has something for everyone. In this day and age of constant negativity, it’s refreshing to find a product that supports our kids’ healthy mental and emotional development by encouraging positivity through their printed messages, environmental awareness through their eco-friendly production, and giving back to the communities they serve. Peace Frogs offer organic products and support charitable causes, such as Susan G. Komen for the Cure and Relay for Life. Honestly, Peace Frogs is new to me, but they’ve actually been around for years! And, they don’t just produce clothing, they also sell stickers, cards, puzzles, magnets, and temporary tattoos. To learn more about Peace Frogs, visit their website at www.peacefrogs.com. Socks are one of those items that always need to be replenished. My kids’ socks, as well as my own, seem to develop holes overnight or disappear in the wash. And, if it’s not that, then they grow out of them. I just seem to find myself buying socks more than any other clothing items for my kids! Then, there’s the fact that we live in a day and age where our fashion may be displayed across social media, which means even our choice in sock styles can be important. DeadSoxy, which makes socks for men, women, and children, offers a variety of colors and designs. They can be found in a low cut “invisible” style, or in the more common crew cut. DeadSoxy is more than just fashionable, they’re practicle too. They’re designed to fit comfortably and mold to the shape of your foot. Just to be clear, these are not your run of the mill cheap socks. However, their price is indicative of their guaranteed quality. 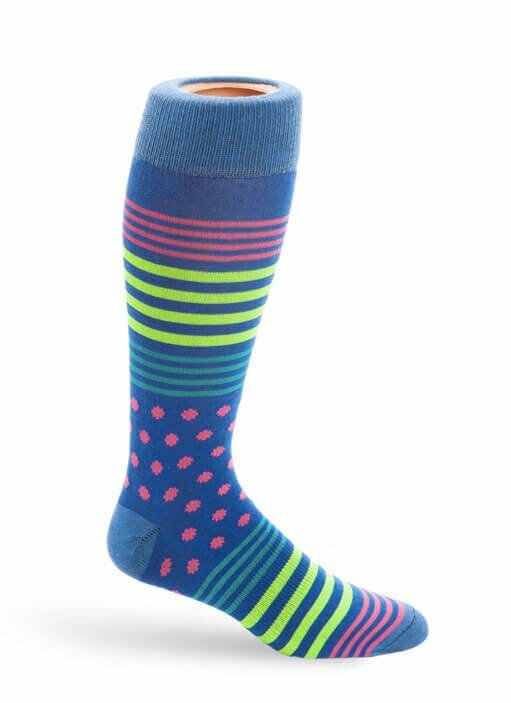 DeadSoxy socks are made to withstand consistent wear and washing so they won’t fade or shrink. But what I like best is their “no slip” deal. If their socks slip off, they’re free! Check out their many designs and perks at www.deadsoxy.com. And, hopefully, their bright colors and catchy designs will ward off the sock eating elements of the washer and dryer! At least it will make them easier to find. The Reebok Classic Leather Altered shoe is available from multiple outlets, but Kids Foot Locker seems to have the best deal. This classic model is made with soft leather but has an EVA midsole and a padded foam sock-liner to cushion your foot for the support needed to be comfortable for continuous wear. The sole has good a grip design that makes this sneaker good for running as well. And, I like the low-cut design as I find that more comfortable for my ankles. Foot Locker recommends that if your measurements fall between two sizes to choose the smaller size, but I suppose that depends on what you’re more comfortable with. Keep in mind though, as with any leather shoe, there is a break in period, but once you’ve got them broken in, they are very comfortable. They are definitely made for everyday wear. All in all, the size and width accuracy is above average, and true to Reebok, the quality is good. However, international customers may want to keep in mind that these are listed and sold in US sizes. They are four color schemes to choose from, which you can see at corresponding Kids Foot Locker webpage. Whether you’re keeping up with your kids’ constant updates throughout the school year, or looking for comfy gift ideas for the fast approaching holidays, a pillow pet makes a perfect pal. My kids love their pillow pets, and it seems their collection never ends! Pillow pets can be used for more than just sleeping on and cuddling. A lot of teachers use “reading buddies” as a way to encourage their students to read out loud. I’ve taken this idea and brought it home. My daughter especially loves reading to her pillow pet. 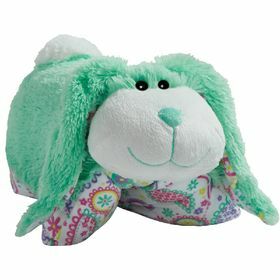 Although this mint-colored, floppy-eared bunny with a fun floral print underneath is cute as can be, there are plenty of other pillow pet options as you can see on their website. Plus, all pillow pets are made of high-quality chenille and BPA-free materials. Let us know if you check out any of these goodies, and what you think of them. Coast Apparel Angler Shorts – perfect for our family camping trips!